The historic and continued economic strength of the United States is dependent in part on foreign direct investment (FDI). Indeed, FDI is an indispensable component of any country’s strong economy. The amount of FDI received annually per country differs significantly; many variables factor into the amount of FDI a country can attract. Appealing to foreign investment is the United States’ strength demonstrated by its year-after-year top rankings in FDI. Even in 2017, which yielded a 40 percent reduction of FDI at $275 million, the United States still ranked first in FDI (with China in second place with a record FDI of $136 million and growing). In the case of the United States, a non-U.S. investor who invests in the United States, through the U.S. Immigrant Investor Program known as “EB-5” or otherwise, generally believes that investment bears less risk because of this country’s regulatory regime. However, most non-U.S. investors might not thoroughly understand the rules and regulations on which they rely that are quietly promoting FDI. 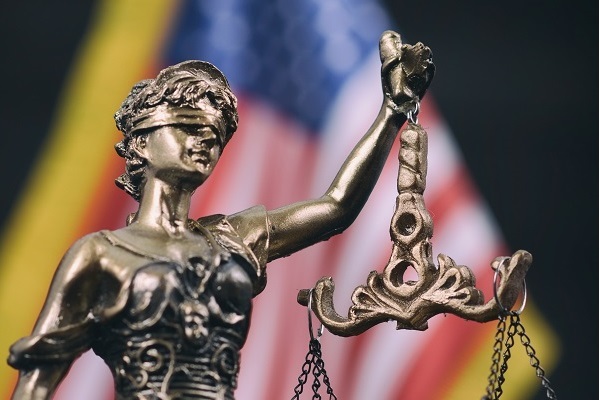 What are the key U.S. federal securities law protections to ease the concerns of non-U.S. investors and provide some tips to protect potential investors? The U.S. government derives its constitutional power to regulate FDI from the Commerce Clause, which specifically grants the U.S. Congress the power to “regulate Commerce with foreign Nations.” Indeed, the United States federal code contains more than 700 regulations that reference “interstate” or “foreign” commerce. The Commerce Clause has become the constitutional basis for numerous laws enacted by Congress during the last several decades, and it represents one of the extensive sources of congressional power. This power has led to regulations governing agriculture, banking, antitrust, securities, business, energy, consumer credit, the Internet, civil rights, food, firearms, terrorism, gambling, pensions, medical products, atomic energy, airplanes and countless other topics. In connection with promoting domestic investment, as well as FDI, Congress passes laws that task the U.S. Securities and Exchange Commission (SEC) to implement rules to protect investors and promote investment. In fact, the SEC’s stated primary purpose is to protect investors from dangerous or illegal financial practices or fraud occurring in the United States. The federal securities laws generally do not distinguish investors’ nationality in the application of its laws or investor protections. Repeatedly, U.S. securities laws are applied to transactions initiated within the U.S. but executed abroad and vice-versa. The tools available to U.S.-based and non-U.S. investors alike fall into two categories: retrospective remedies, which are available when investment losses occur due to fraud; and preventive measures, which are available before deciding to invest. Every arm’s length investment carries risk, whether arising from the market, prices, liquidity, credit, interest rates or currency fluctuations, etc. Thus, when an investor’s funds are lost due to anticipated risks, remedies are sparse. However, when losses arise from fraud by a U.S.-based issuer, a number of tools are available to enable investors to recover some of their financial losses, depending on the circumstances. Authority of the SEC: The SEC is authorized by Congress to seek a number of remedies, including civil money penalties and disgorgement of profits, from those who commit fraud. The SEC handles civil matters against individuals and companies for violations of securities law in federal court or in front of a federal administrative law judge and seeks to obtain remedies, including civil money penalties, disgorgement of ill-gotten gains, injunctions prohibiting future violations of the law, and officer and director bars. The SEC may also recommend involvement of another law enforcement agency, the Department of Justice, to seek criminal sanctions, such as imprisonment of the wrongdoers. The benefits of the SEC’s enforcement action, rather than having an investor to self-fund a civil claim are significant. Crucial to the SEC's effectiveness in procuring the myriad of remedies is its enforcement authority. Each year, the SEC brings hundreds of civil enforcement actions against individuals and companies for violation of securities laws including insider trading, accounting fraud and providing false or misleading information about securities offered and the issuing companies. Civil Action: The SEC files a complaint with a U.S. District Court and asks the court for a court order, called an injunction, which prohibits any further acts or practices that violate the law or rules. The remedies sought by the SEC are vast and can include audits, accounting for frauds, supervisory arrangements plus civil monetary penalties, or the return of illegal profits called disgorgement, and suspensions, such as the suspension of a corporate officer or the suspension from conducting securities offerings. Violators may be found in contempt and may be subject to additional fines or imprisonment. Administrative Action: The SEC can seek a variety of sanctions through the administrative proceeding process heard by an administrative law judge, who is independent of the SEC. Administrative sanctions include cease and desist orders, suspension or revocation of broker-dealer and investment advisor registrations, censures, bars from association with the securities industry, civil monetary penalties and disgorgement. Authority of the SEC. Congress created the SEC through its enactment of the Securities Exchange Act of 1934, as amended (the Exchange Act). The Exchange Act empowers the SEC with broad authority over all aspects of the securities industry from brokerage firms, to stock exchanges, to private offerings and public companies and more. The SEC’s jurisdiction extends well beyond U.S. borders. U.S. federal securities laws are unique, as they are vast and follow a principal of inclusion not exclusion. In particular, all securities transactions are subject to the antifraud provisions of the Exchange Act and the Securities Act of 1933, as amended. Thus, U.S. securities laws daringly apply to all investors in the world except if the transaction, (i) did not occur in the U.S., and (ii) did not involve U.S. persons or companies. Specifically, the SEC relies on decades of case law to determine when the anti-fraud provisions of Section 10(b) of the Exchange Act and Rule 10b-5 adopted thereunder can apply extra-territorially. In the U.S. Supreme Court case of Morrison v. National Australia Bank, the Supreme Court developed a bright-line test about the Exchange Act’s reach; specifically, the Court ruled that Section 10(b) and Rule 10b-5 apply “only in connection with a purchase or sale of a security listed on an American stock exchange, and the purchase or sale of any other security in the United States.” With respect to non-U.S. investors executing a FDI in the United States, the antifraud provisions will protect them by holding U.S. issuers responsible for false or misleading statements whether in an EB-5 regional center or direct investment or through a non-EB-5 investment. Confirm if the broker or firm is licensed. If a broker is offering the security, it is recommended to ascertain whether the broker and affiliated firm are licensed. The Financial Industry Regulatory Authority (FINRA) maintains an easy to use broker-check website at brokercheck.finra.org to confirm licensure and to check if the broker or the firm has a history of complaints. Investors can also call FINRA’s public disclosure hotline at (800) 289-9999. In addition, confirm that the representative is with the licensed firm to make sure the agent is not using the name of a legitimate broker and brokerage firm. Always compare addresses of a broker with the address provided by the securities regulator or FINRA. Confirm if the Issuer Is Registered with SEC. If the issuer of the investment, or the entity benefiting from the investment, claims to be publicly registered, the investor should independently verify this information. The SEC's EDGAR database is searchable by company name at www.sec.gov/edgar/searchedgar/companysearch.html. The fact that a company is public does not mean the investment is less risky and, likewise, the lack of registration does not mean the company is not a good investment. Most real estate developers and private funds are not registered with the SEC but produce positive returns. Verify References. If the investor’s broker or the issuer provides references of “happy investors” or prior successful investments, try to verify the validity of the references to be sure that the names given are not part of the scam. If the investment involves property, confirm supporting documents to ensure ownership. Independently Research. In all events, it is always advisable to research the investment independently before making the decision to invest, no matter whether the investment concerns a fund, a real estate investment, private company or publicly-traded security in addition to reviewing a prospectus and recent financial statements. Keep in mind that microcap companies can be among the most risky investments. By researching the investment on their own, investors can mitigate their risks by verifying the information received. Investors can use the SEC’s online publication “Get Info About Companies” when researching their investment, which can be found at: www.sec.gov/reportspubs/investor-publications/investorpubscompanieshtm.html. The foregoing underscores the value of proactive due diligence by investors before deciding to invest. Verification of disclosure documents’ data, history and facts concerning the investment and its principals will prevent most occurrences of fraud. Complacency is the ingredient on which fraudsters prey. When investors inquire into the authenticity of the material facts surrounding an investment, fraud can be minimized or avoided. Risk is inherent in all investments, and a required component of EB-5 investments, but it can be minimized. Nevertheless, when losses occur through fraud by a U.S.-based issuer, the SEC has jurisdiction to enforce the United States’ anti-fraud laws. See United States Constitution (Article I, Section 8, Clause 3). In fact, the only exception to investor protection is in cases of non-U.S. investors in non-U.S. issuers. In 2010, the U.S. Supreme Court held that U.S. securities antifraud laws do not apply to transactions by non-U.S. investors in securities of non-U.S. companies on non-U.S. exchanges. See Morrison v. National Australia Bank, 561 U.S. 247 (2010). However, when a plaintiff alleges securities fraud in connection with an international transaction, the court must determine whether Congress intended to expend resources of U.S. courts to the claim; jurisdiction is more likely if the transaction has significant contact(s) with the U.S. or pertains to fraud versus regulatory disputes. A risk-free investment is one where an investor is paid a guaranteed return with no chance of losing any amount invested. Debbie Klis has a broad financial practice focused on fund formation including EB-5 funds, hedge funds, private equity and real estate funds and international master-feeder funds and business and securities matters. Her experience includes structuring successful debt and equity EB-5 investments coupled with HUD loans, low income housing credit, historic tax credits, new market tax credits, bonds, tax-exempt bonds, energy credits, crowdfunding for commercial and mixed-use developments, residential, solar, hotels, casinos, museums, factories, etc. Klis is a frequent speaker and author regarding EB-5 project finance and related crowdfunding, securities and corporate matters.